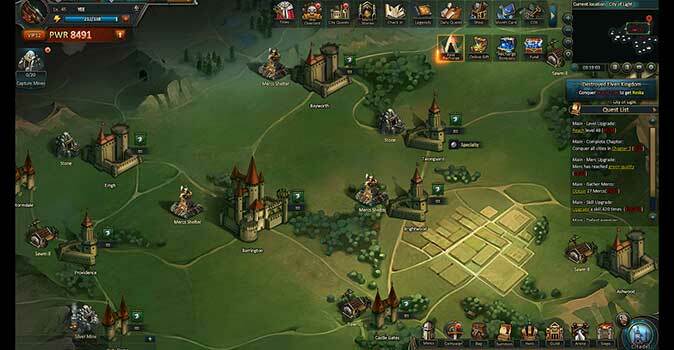 Heroes Origin tells the story of a world torn by war. When the war has ended you’ll be sent back in time to try and change the outcome. But first thing’s first! Before you can make your mark in the eternal war between light and darkness you have to create a free account with Vivagames. Just like in other role-playing games, the next step is creating your character. You have two character classes to choose from. On the one hand you have the sword fighters – armed with sharp blades, these warriors throw themselves into the first line. If you prefer powerful magic, then you should go with the mystical Wizard. No matter which of the two classes you’ll go with, you’ll play an important part in this war! Heroes Origin draws on many heroes and gods from the past. At the beginning of our journey we met Hercules, for example. This demigod first wanted to finish us, but we made a pact with the lady of the Hydra, who took us in her ranks. During your adventure you’ll meet more characters from the Greek Mythology – you’ll fight them, but you’ll also work with them! Even though these characters’ appearance won’t always stay true to the original, it’s always cool to be a part of this Mythology. 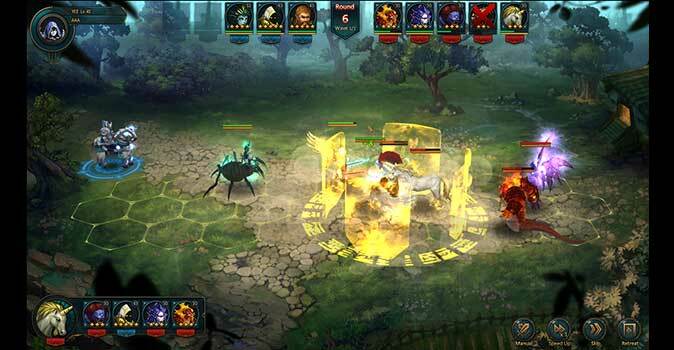 When it comes to fighting in Heroes Origin, the game switches to the fight mode on screen. Here you come face-to-face with your opponents, and you take turns to throw blows or charms at each other. But what makes these fights tactical is your battle placements. You’re constantly able to change your battle formation – place healers with weak armoring in the second line, and powerful riders at the front! 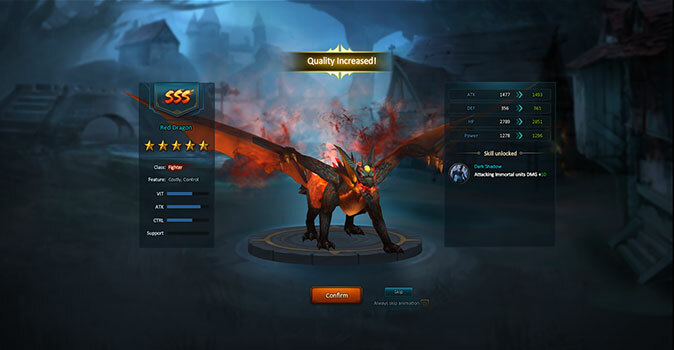 Your team can consist of up to four heroes, each of them having their own strengths, and it’s your job to place them in formation efficiently. In Heroes Origin you can use automatic path finding! If you activate this feature, the game leads you around like a ghost hand. This is especially useful for players who don’t feel like looking for their way forever and only want the action in the story. But if you want to make your own way, you can also deactivate automatic path finding, of course. 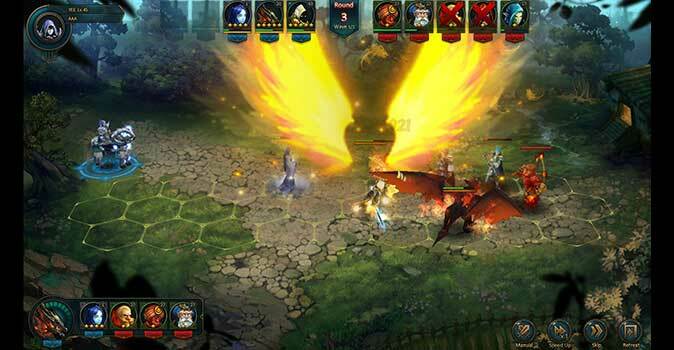 Like we said before, God’s Origin is a MMO, so you won’t be surprised to meet many other players. 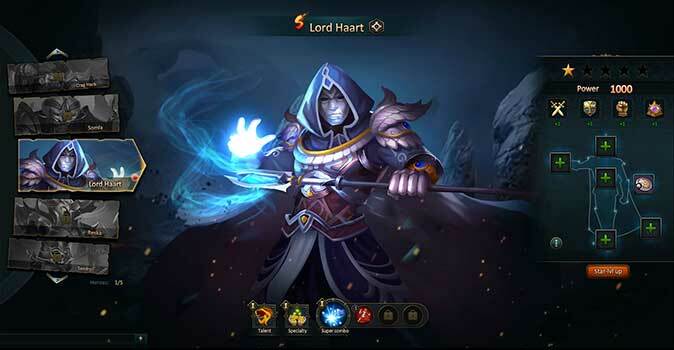 The game has a chat function for all players, and starting at level 21 you’ll also have the possibility of entering a guild, or even starting one yourself! 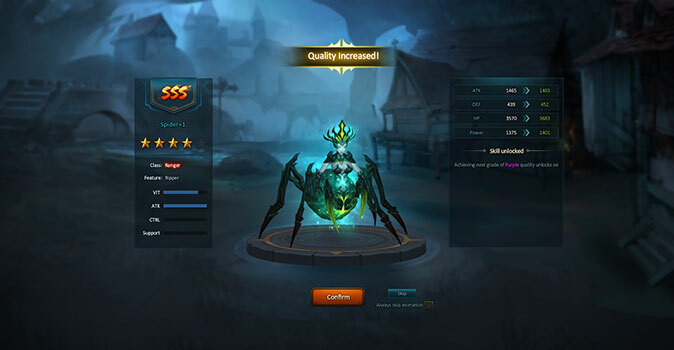 A guild will bring many advantages such as powerful items or simply exchanging tips and tricks. Get together with other players from all over the world, and fight the evil creatures of darkness together! Free fun: Just register with a free account on Vivagames, create your character, and the adventure can begin! A mystical world full of heroes: On your many journeys you’ll meet heroes and gods from the old Greek mythology, and you’ll be working together with them. 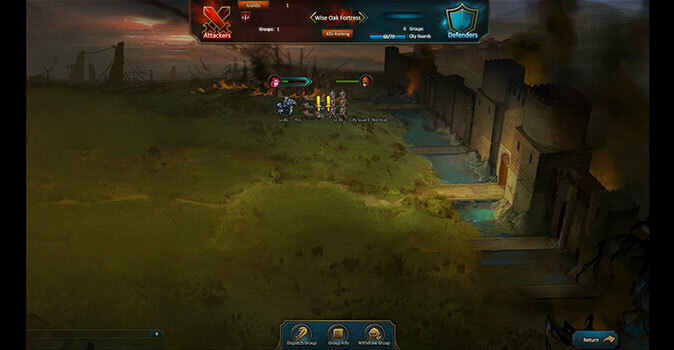 Tactical placements: Choose your battle formation carefully – only placing your warriors in an efficient formation will bring you victory! Impossible to lose your way: Use the feature of automatic path finding and lean back, while all scenes of the story unfold before you. Together against darkness: Come together with players from all over the globe, and save the world together! 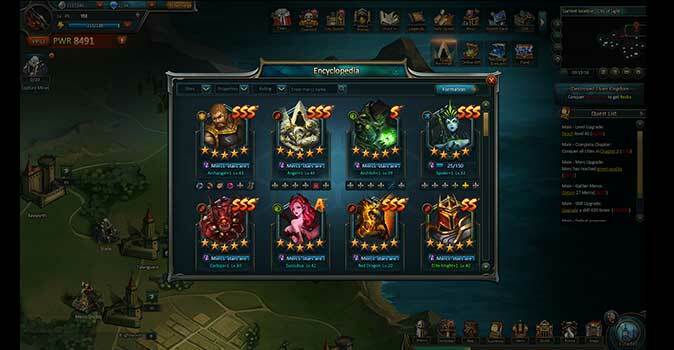 The free role-playing game for the browser ‚Heroes Origin‘ by Vivagames doesn’t reinvent the genre, but it brings solid action and a great story to your screen! Fight your way through the hoards of darkness, gain experience, collect powerful items and make sure that, in the end, the good wins. 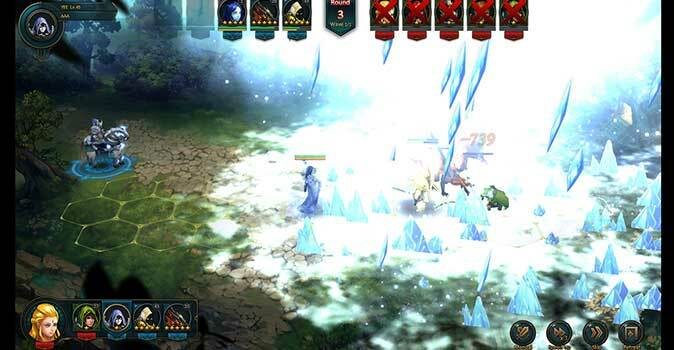 Whether as wizard or wild sword fighter – you won’t be lacking opponents. You’ll never be alone on your journeys, because you’ll keep meeting other players. 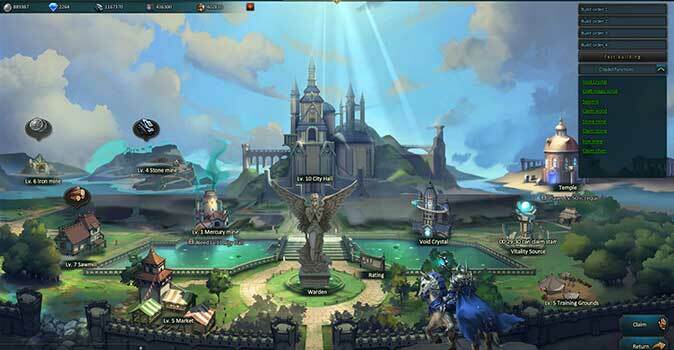 Use the possibility of forming alliances, and come together in powerful guilds! 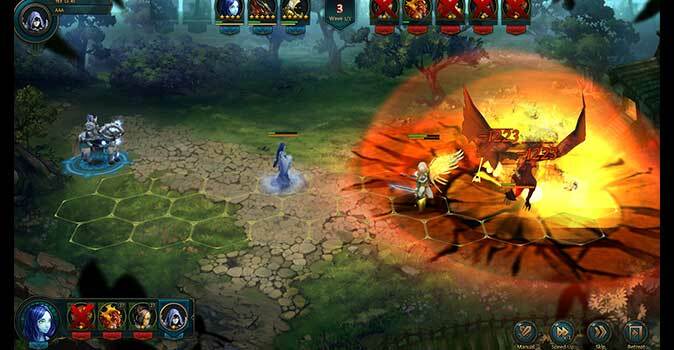 Use the chance today, and plunge into the mystical world of Heroes Origin!